It was a genuine treat to close out the night to see this duo of two local masters of their instruments. I had seen tombak player Pedram Khavarzamini a few times before (including earlier in the evening) but witnessing Bassam Bishara on oud was a joyful revelation. 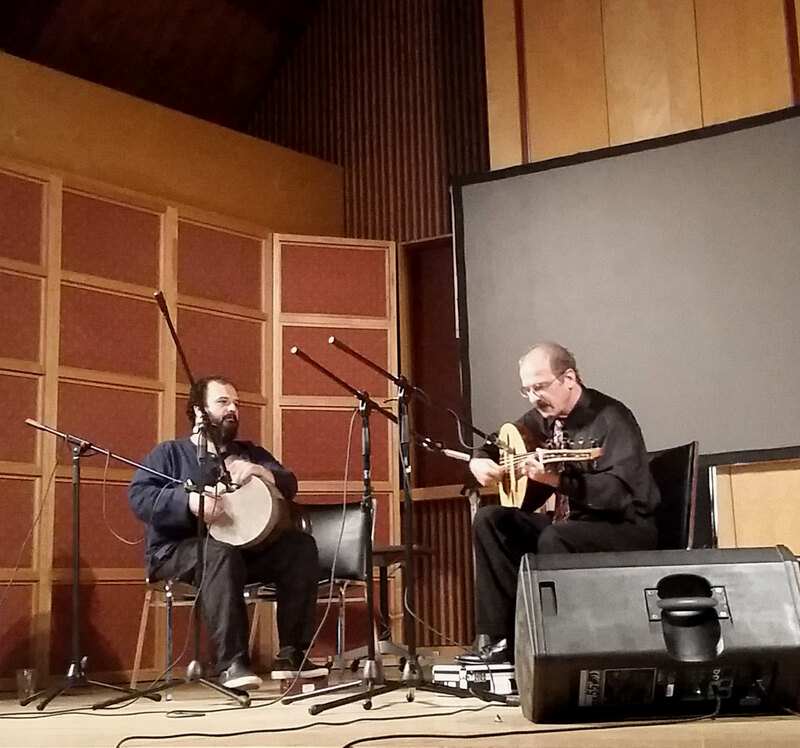 With no setlist, the pair would simply suggest songs to one another and then go, usually leading off with Bishara establishing the tune on his own before Khavarzamini would join in to buoy him along. With a slight smile and playful twinkle in his eye, Bishara looked like any musician engaged in a casual back porch jam session, but that would belie the sheer staggeringly advanced level these two were operating at. A real reminder of the musical richness that exists in this city around us. * Does anyone know the titles to these? Please leave a comment!